3. 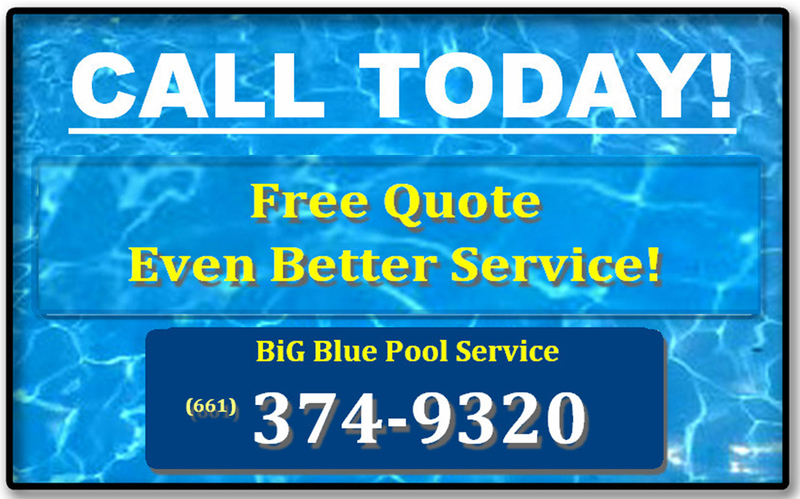 Contact: Big Blue Pools - Big Blue Pool Service - Best in Bakersfield!Big Blue Pool Service – Best in Bakersfield! Call Us today – Ask for Dan – He will gladly give you a free quote and even better service! The best way to reach us is to give us a call – we won’t bite 🙂 – If we’re busy cleaning your neighbor’s pool, leave a message and we’ll get back to you as soon as possible.